Amy was born and raised on the sun-drenched beaches of Destin, Florida. As a fourth generation native, Amy's deep roots along the Emerald Coast stemmed from Mattie Kelly, her great grandmother and Destin matriarch. An innate love of culture and the arts flowed from Mattie into all that surrounded her. It bonded her family and still resonates in the community today as Mattie's legacy lives on through the Mattie Kelly Arts Foundation. This influence touched Amy at a young age as she became enthralled with all forms of design. Amy believes the same family heritage that molded her led to her career in Interior Design. 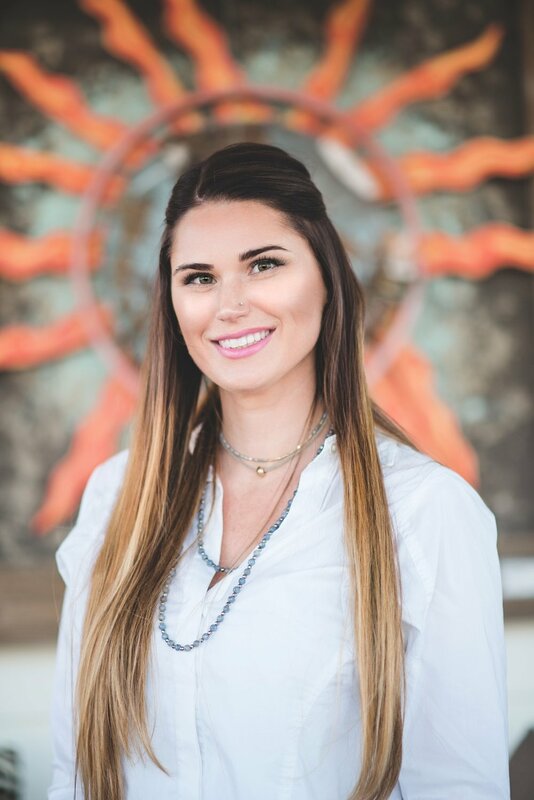 After graduating from Florida State University with a Bachelor of Arts in Interior Design and minor in Business, Amy completed her formal training in Florence, Italy earning a master’s degree in Interior and Product Design from Accademia Italiana. When Amy’s time in Florence came to an end she made the decision to move to South Florida and explore the industry. She worked with a variety of high-end designers including a position as design assistant on Food Networks "Restaurant Impossible". As fate brought her back home, she finally found her match with Janet Taylor of Grayton Beach, founder of Janet Taylor Interiors. Amy started with Janet as an assistant, and after years of dedication became a partner to Taylor & Kelly Interiors. As Janet imagined her path to retirement, the transition to Amy’s own design studio came naturally. Today, Kelly Collective Interiors delivers designs from concept to completion ranging from large scale residences to extensive remodels and elegant vacation homes. Amy and her team work with architects and contractors to bring distinct visions to life. Amy describes her design style as “natural coastal elegance” - light filled rooms, colorful textiles, and earthy textures are elements that always distinguish a Kelly Collective Interiors project. Keith was born in Tennessee and raised in Panama City, Florida. Truly a labor of love, Keith brings a second generation of life to what was once his fathers trade; woodworking was a bond fostered by his father at a young age. Immersed in the natural surroundings of the coast, he developed a passion for wood and carpentry proved to resemble more of a trait than a skill. As his eye for detail strengthened over time, experience led him into a position with a local builder that grew into 15 years of construction insight. When the time came for Keith to start a venture of his own, he quickly made his mark along 30A. Respectively known as the “bunk-bed guy", Keith is known for turning the most unique spaces of a home into bunk rooms. His 28 years of experience does not stop there. Today, Keith assists Amy in all aspects of carpentry and construction; from building custom furniture to overseeing renovations, handling each project with integrity and proven client satisfaction. Keith is undoubtedly talented and understands the details that are important to Amy, often telepathically finishing her designs.